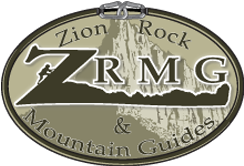 Zion National Park in Southern Utah is the number one place to hold retreats as the Mountains, Cliffs and Canyons provide an amazing place to revitalize your group. When the Astronauts wanted to build teams that could cooperate together and work on problem-solving they came to Zion to develop and hone their skills by going through our canyons and mountains. We can schedule meetings and events in Convention Centers, meeting rooms, or even in the great outdoors. We have wilderness locations and Outdoor Arenas to hold large events. Guests may stay in 5-star Resorts or under a Trillion Stars. Arrangements can be made with any combination of these options. We have World Class Yogis, Tai Che instructors, Mountain Climbers, Canyoneering Guides, and Mountain Bikers to help with your program. We are surrounded by some of the most sought after Climbing, Canyons and World Class Mountain Biking trails. No matter where your accommodations are the climbing, canyons, and MTB can be included in your event. The Yogis will help with balancing life with work, family, and fun. Crisis management and conflict resolution are very important parts of yoga. Mindfulness (Observation without judgment) will help with focus and increase productivity and lessen disease.